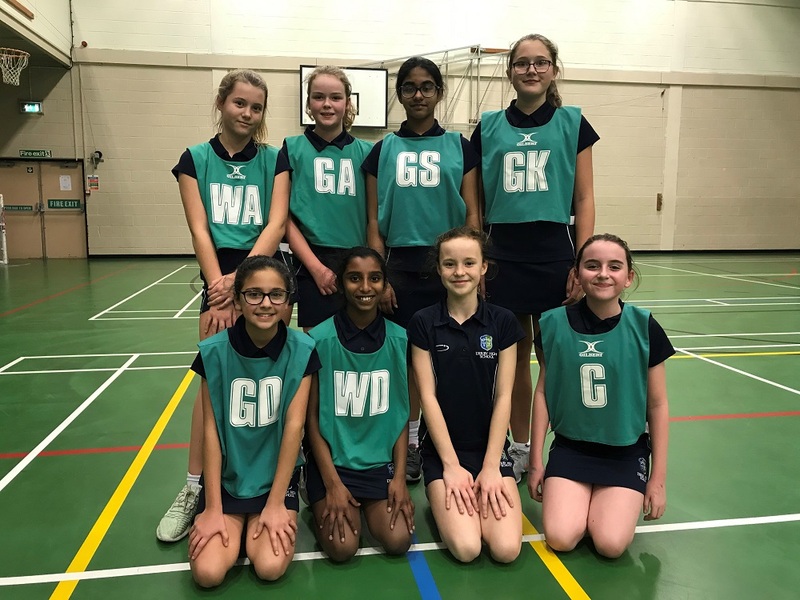 Both U12 teams performed excellently against Chellaston in their netball matches at home on the 12th February. The B team played first and worked well together, with some impressive shooting. They won their game 6-2. The A team followed them, inspired by previous performance, and played a consistently strong game, also winning, with the final score being 8-2. 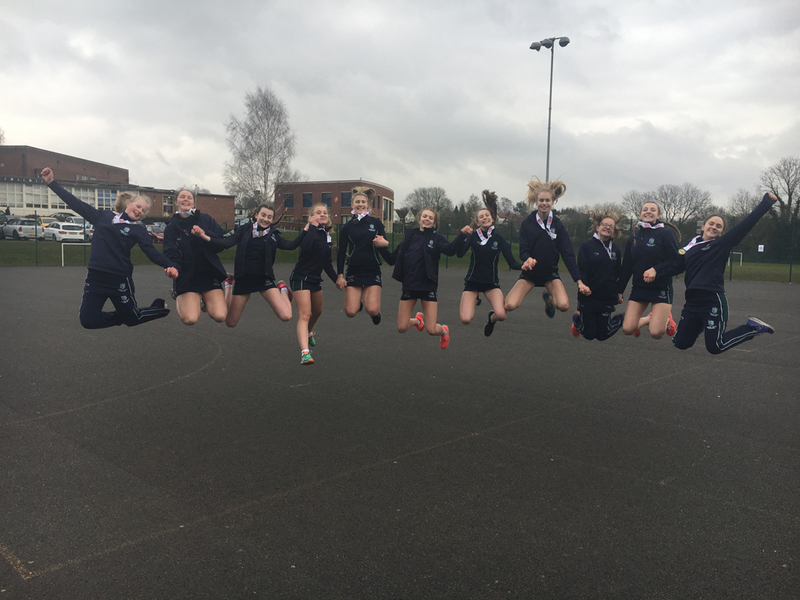 What an amazing experience for our U16 netball team as they travelled to Soar Valley Leicestershire to play in the regional netball tournament. It was bitterly cold and there was quite a lot of waiting around but when on court the team gave everything. Fantastic defensive work in the first game against Robert Smyth school from Katie, Sophie and Connie led to end to end action and we were extremely unlucky to lose in the last seconds by 6 goals to 7. In the next game against Northampton the attackers of Liv, Poppy and Issi really put the pressure on and played brilliantly to achieve a draw of 11 all. 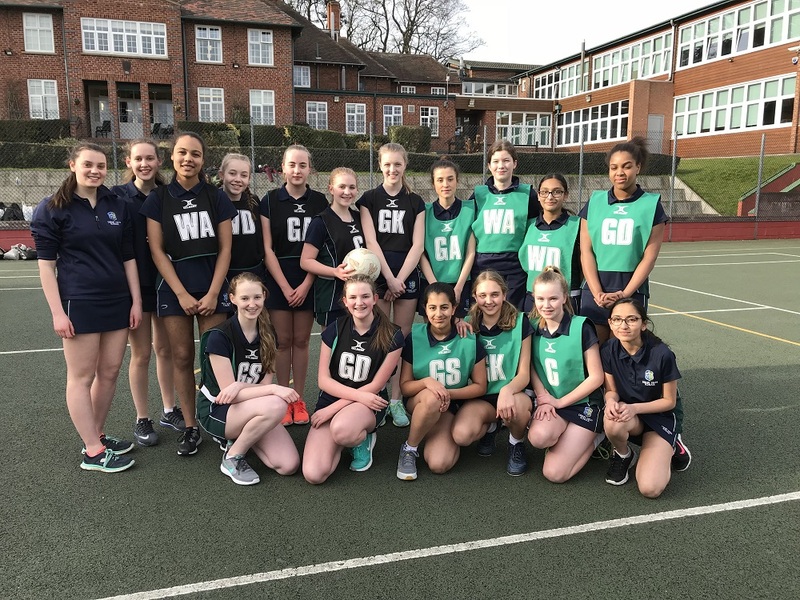 The next match against Grantham also ended in a draw and Derby High were unlucky not to win after some very effective dodging and interceptions from the mid court players of Eliza and Hope. Nottingham High were our next opposition and once again play was end to end. Unfortunately yet again it wasn’t Derby High's day and they were disappointed to lose another game by only 1 goal in the final two seconds. The last game against Repton, Derby High narrowly unfortunately lost as well, but the team came away from the tournament extremely proud of their achievements and standard of play in such a prestigious event. A big well done to Katie, Sophie, Eliza, Connie, Liv, Poppy, Issi and Hope and thank you to Mrs Evans for scoring and Mr Jacobs for being the first aider. The U14s narrowly lost 10-7 in their match which was very end to end and a really great game. 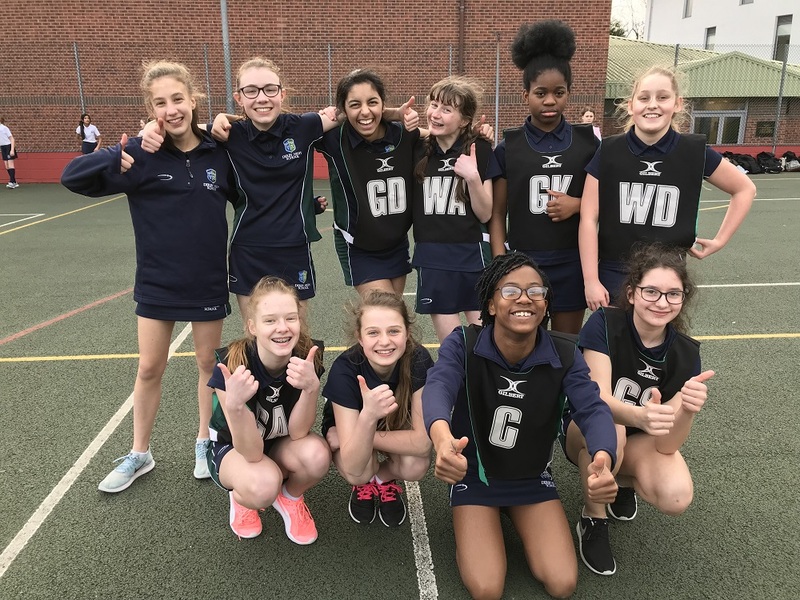 The U13s sadly lost 12-1 in their match – however, this was also end to end and there was some improved play from all players on court during the match. 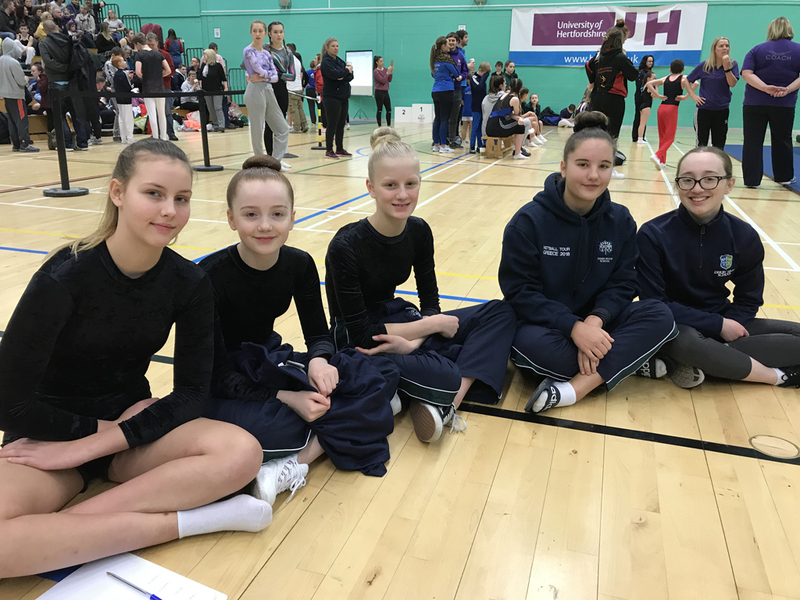 Derby High trampolining teams reached the heights of the prestigious zonal competition this year and travelled to Hatfield to perform their routines. Only one step below the National level the standard was very high, and the trampolines were extremely powerful, so keeping control was paramount! Charlotte made a great start, early in the morning, in the U14/15 age group and gained 7s from the judges for her routines. Anais continued in this vein with a superb somersault and seat drop. Chantal also wowed with her back drop to achieve a 7 and Hettie (on her birthday!) achieved a row of 7.1s for her voluntary routine. Overall this put the team in a brilliant 5th place. The U12s and U13s competed after lunch in a very strong novice group. Esme performed first and gave the team a great start with 7s. Evie gave a great performance in her second routine with a strong back drop to achieve a 7.3. Priya reached the dizzy heights of a fantastic 7.5 for her set routine and the judges were very impressed with Millie’s routines awarding her an excellent 7.7!! After a nervous wait the U12/13s were awarded a 5th place and Year 7's Millie also achieved a 5th place in the individual competition! Fabulous results!! Coach Mrs Hancock said that the girls have been an absolute pleasure to coach and is looking forward to them progressing further. She would also like to thank the girls very supportive parents! Both games went well for Derby High, with the U12s winning 13-0 and the U13s winning 5-0! 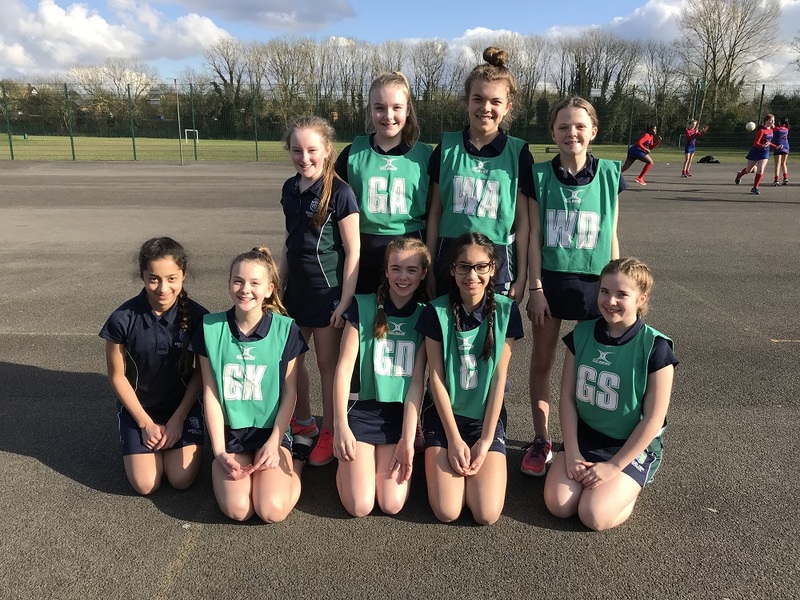 The U12s certainly showed some improvement having played a fixture last week also, and worked well as a team to progress the ball up the court for scoring opportunities. 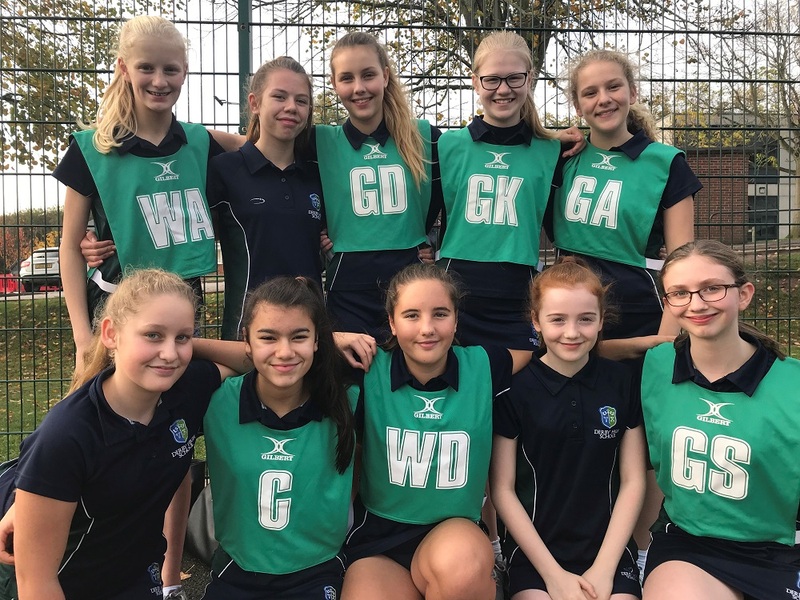 The U13s worked well together over the court, particularly with some players and certainly dictated the game, but were unlucky not to score more. 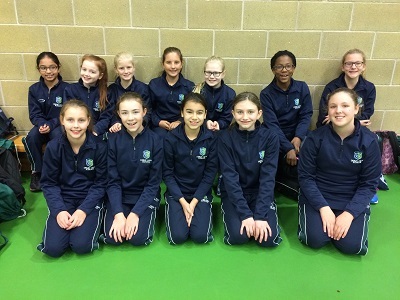 The U12 A and B netball teams travelled to Littleover School for a fixture on Thursday 10th January. The first fixture for several of the players, there was a mixture of excitement and nervousness! All the girls played really well, showing great persistence and team work. The U12 A team won 7-2 and the U12 B team won 9-0. 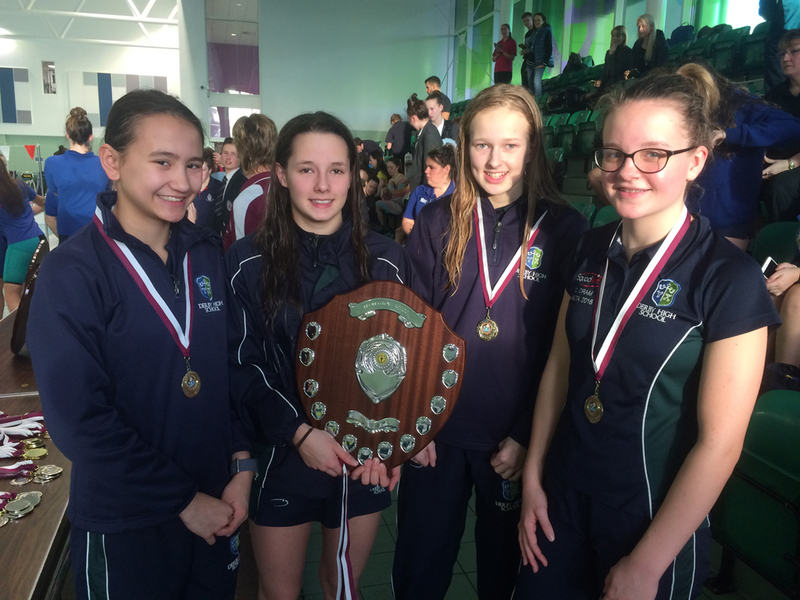 It all went swimmingly well for Derby High’s elite swimmers in an Eastern region invite GSA gala organised by Bedford Girls School and hosted at Stamford Endowed Sports Centre. Some of our younger swimmers from the Primary school were given their first opportunity of competing in such a prestigious event and Anelise, Emily and Isla gave their all in their individual events to finish 2nd, 6th and 6th respectively. The U15 team consisted of Lexi and Ava from U4 and Megan and Julia from L4. Consequently they were up against older, strong opposition but approached the task with great enthusiasm and determination and achieved some fantastic 3rd, 4th and 5th place results. The U18 team were also younger than their opposition but their experience in National events was evident from the start. 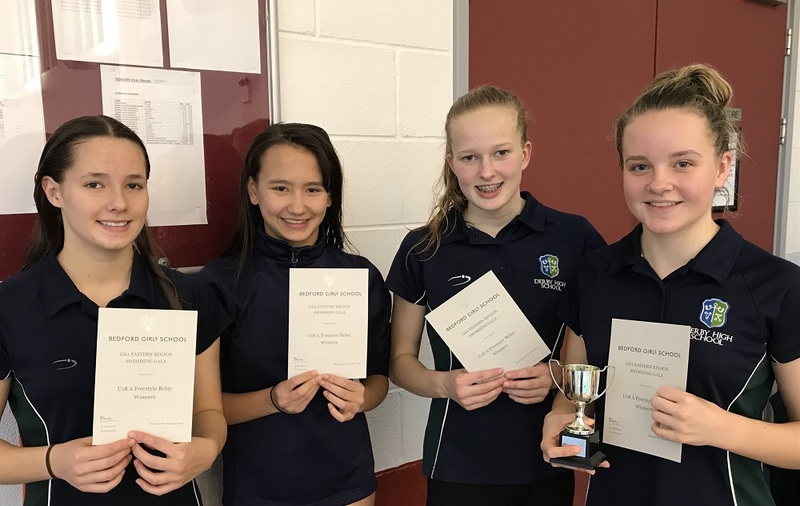 The medley relay was their first event and they dominated from the beginning with Caitlin’s strong backstroke leg, Libby’s superb breaststroke leg, Aimee’s wonderful butterfly leg and Lucy’s excellent freestyle leg to come out as winners. 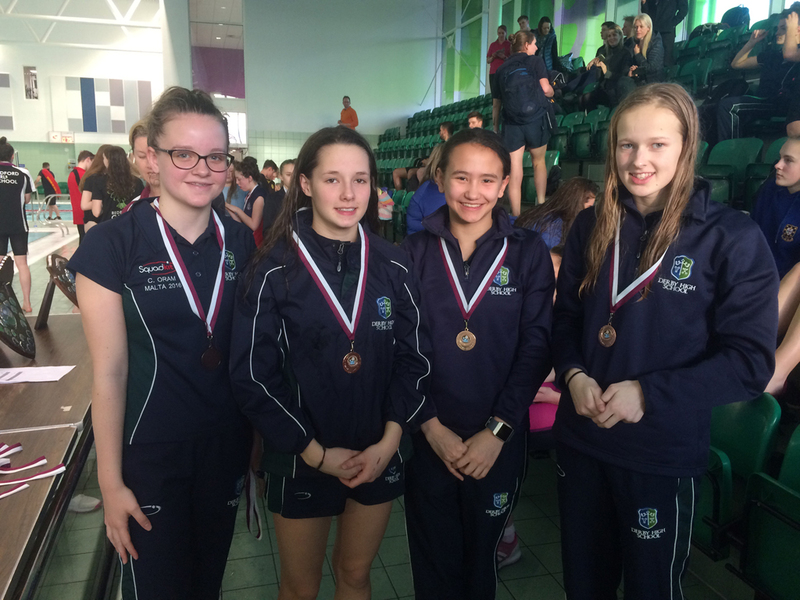 Individually Caitlin, Libby and Lucy also won their individual 50m races and by the final freestyle relay event were ready to enjoy success again. The girls led from the start and left all the other teams in their wake to win the final race of the meet. An incredible result from some very talented athletes! Team manager Mrs Hancock was very proud of all the swimmers for achieving such excellent results and she was also very grateful to Mrs Peake who drove to and from the gala and assisted on pool side. 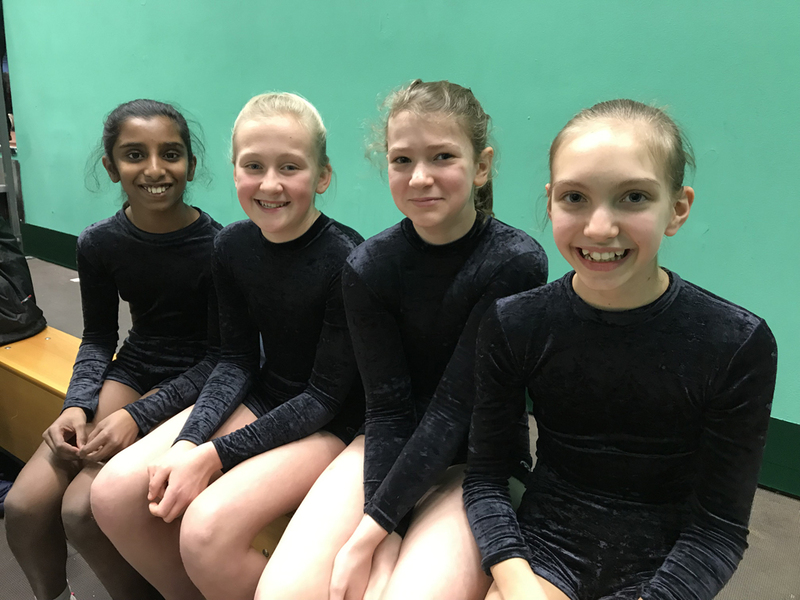 Eight talented trampolinists travelled to Hinckley on Sunday 2nd December to compete in the Regional Trampolining competition. They had all been working really hard on their routines at the Monday after school club, but larger trampolines and a very big crowd watching, added to their nervousness! Each girl performed a set routine and a voluntary routine of ten bounces which were scrutinised by four judges before the scores were posted. 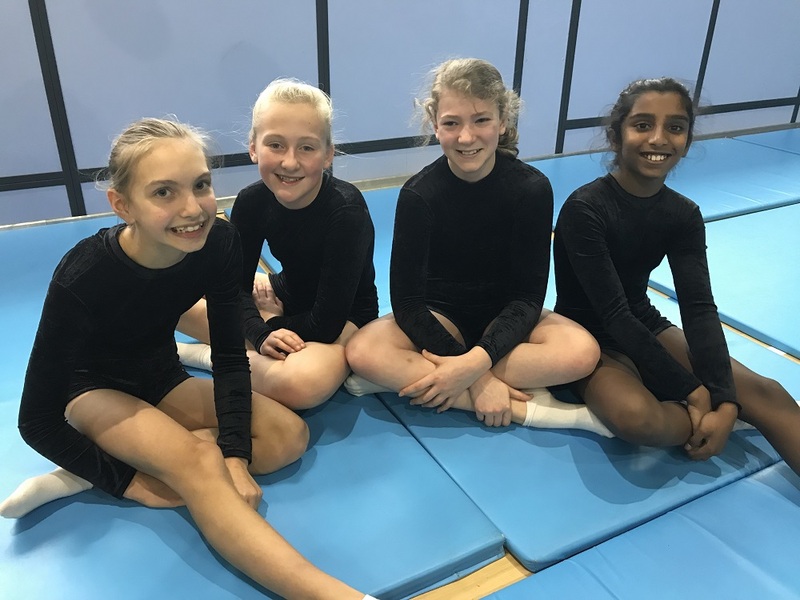 For all the girls this was their first experience of a trampolining competition at this standard against 60 other competitors so achieving scores in the 7s was superb! Priya was first to compete for the Year 7/8 team and scored some excellent scores including an 8.2. Millie was next to compete and wowed the judges with her somersault and extremely precise full twist. Esme was the third to compete for Derby High and again achieved scores of 7’s and Evie competently performed her routines to a great standard. When the results were collated the girls were delighted to be awarded 2nd place overall, a trophy, medals and a place in the zonal round on the 20th January at Hatfield. Star trampolinist Millie was also thrilled to be told that her scores had led to her being crowned the Midlands champion! A fantastic achievement at such a young age! The Year 9/10 team competed in the afternoon and Anais, Charlotte, Chantal and Hettie all did brilliantly to finish in 13th, 16th, 17th and 20th positions respectively against very tough competition. Anxious waits for the results ensued until all the competitors had finished, and Derby High were over the moon to finish in overall 2nd place and take another trophy, medals and a ticket to compete in the zonals! Wow!! Coach Mrs Hancock and Miss Allum were very proud of the girls and Mrs Hancock would also like to give a big thank you to Tilly and Monica who officiated all day on behalf of Derby High. Such an exciting netball match took place in the Sports Hall after school on Tuesday 27th November! The U15s were involved in a physical and mental battle against a strong team from Chellaston and after the first, second and third quarter there was only one goal separating the teams! Some outstanding defending from Harriet and Lucy led to some excellent interceptions in the mid court from Olivia, Freya, Kate and Josie. Ellie displayed her excellent fitness as centre and played some superb passes in to the circle and GA Libby and GS Mysha scored some brilliant goals. The final result was a draw of 16 -16! Well done U15s! 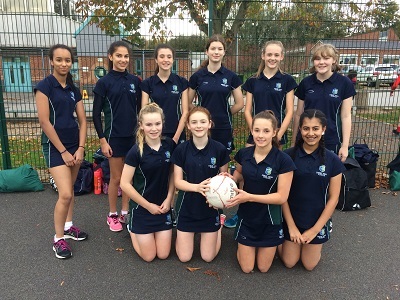 On Tuesday 16th October, the U14 netball team walked down to Littleover for their City Tournament. The format of the tournament meant that the girls had five pool games, and the top two teams progressed to the semi finals. Each game was only 7 minutes one way. Our first game against a strong Littleover team was positive, despite Littleover having the majority of the possession for the entirety of the game. We did get a goal towards the end, but the final score was 4-1 to Littleover. Our next game against St Benedicts was a positive bouncback, with a 8-0 win. It was slightly crowded on court but the girls played the ball around well and secured goals from both shooters. Woodlands were our next opposition, and they were again strong and played fierce netball against us. The girls defended well and worked hard to maintain possession, but Woodlands worked the ball well around the circle and managed to score 5 goals. Our final two games of the pool were against Derby Moor and Landau Forte and demonstrated some excellent play by our girls. We won our games 10-0 and 8-2, respectively, and some great interceptions all over the court thwarted the opponents’ chances. Unfortunately the girls were not able to progress to the semi finals, but did finish 3rd in the pool and represented the school in a diligent and fair manner throughout the tournament. Well done to them all! Team: Rose (captain), Ava, Alexia, Chantal, Anais, Becky, Alex Baker, Charlotte W, Ella and Hettie. 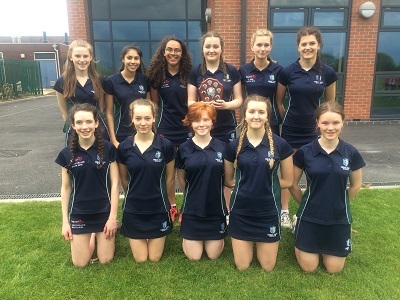 Y11 Derbyshire County Netball Tournament - winners! 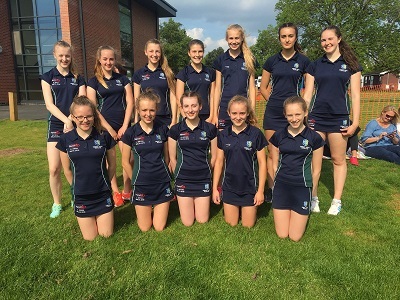 “The sun shone and Repton School basked in 22 degree heat as we travelled to the Derbyshire U16 County Netball competition on Wednesday. Eleven schools were split into two groups for the initial round-robin stage. Derby High faced a couple of tough matches back-to-back, but we came out on top with some solid defending, fast and efficient mid-court passing and accuracy in the shooting circle. With the first wins against Lady Manners School and hosts Repton under our belts and now fully into our stride, we comfortably and professionally took care of our final two group matches against QEGS and Chellaston. Topping the group unbeaten meant we now faced the second-placed team from group two, Ockbrook, in the semi-finals. It was a close match against a strong Ockbrook side, with some end-to-end play from both teams. We worked hard in all areas of the court and took the win securing not only our place in the final, but also a spot at regionals in January. However, our work wasn’t done yet. We hadn’t lost a match all afternoon and were determined to take home the trophy. Repton had come through the other semi-final against Trent College and were eager to make up for their loss to us in the group stage. Derby High had other ideas. Relaxed and confident, we put in perhaps our best performance of the day taking the victory 10-4. 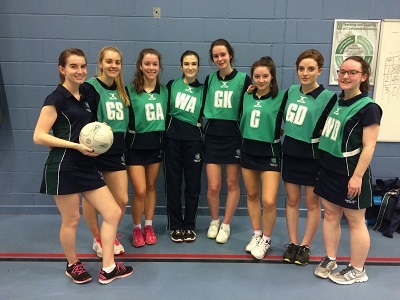 Y11 Derby City Netball Tournament - winners! "A City netball Tournament for U5 took place on Tuesday at Littleover. It was a round robin format and the team was Connie, Liv, Lucy, Issi B, Lydia, Katie M, Sophie J, Caitlin, Poppy and Hannah. We worked really cohesively as a team, and found some schools more challenging than others, but the Derby High persistence was always in evidence! We played Leesbrook first of all. They were challenging due to their assertiveness but we used tactics that we had learnt in practices to achieve a good win. Woodlands were next and they were well organised and strong in the mid court. Nevertheless our defence thwarted many of their scoring opportunities to give Derby High a big lead. Landau Forte and St Benedict’s both put up a fight in the next two matches but our centre court players and our shooters were on fire, leaving them very little opportunity to create openings. We finished with a match against Littleover who were tough competitors. At one stage there were only two goals separating us but we piled on the pressure with our well learned skills in all areas of the court and came out as the winners!! At the presentation we held the shield high and were extremely proud of ourselves." An exciting House Netball competition came to its conclusion with the Junior teams battling it out for the trophy. 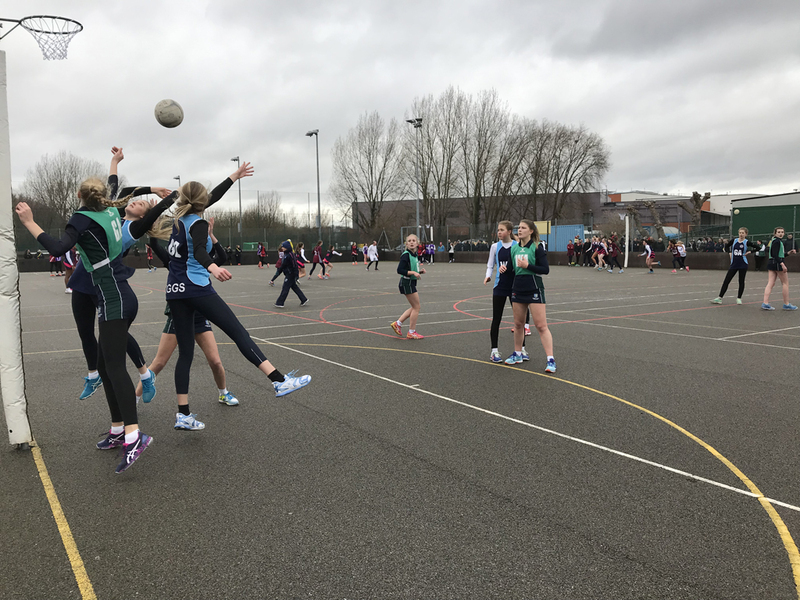 Earlier on in the half term, the Senior teams had displayed some outstanding skill level to strive for success, and many games were neck and neck until the final few minutes. At the conclusion of the Senior competition St Patrick took 4th spot with 2 points and St George were 3rd with 6 points. With 2 wins and a loss St David came 2nd with 10 points so the winners were St Andrew with 3 wins out of 3 and the maximum 15 points. The Junior matches were also very close and it was especially pleasing to see some very talented U3 players representing their house for the first time on the sporting stage. The final games were crucial to decide a winner as 2 teams amassed the same number of points, so it came down to the team who had scored the most goals. This culminated in a win for St Andrew as they achieved 11 points and 36 goals, 2nd was St Patrick as they had 11 points and scored 30 goals, 3rd place was taken by St George with 6 points and in 4th were St David with 5 points. Well done to the House Captains for organising their teams and congratulations to all the players. Our extraordinary endurance athletes have been in top form over the last three weeks and consistently finished in the top five in the Derby Area Cross Country competitions. Neve and Annabelle are now looking forward to the final competition at Moorways in early November. 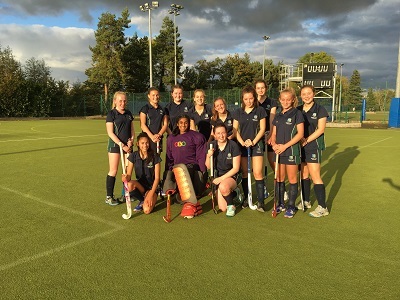 One sunny afternoon in September Derby High’s 1st XI hockey team played against Repton School. Our team consisted of girls from L5 (Y10) to U6. Not all of us had played together in a team before so this was our first match as a team. Every single player worked to their best potential and showed dedication, persistence and most importantly team work. The weather was a scorcher and so was the action on the track and in the field for the U3 Derby High athletics team at City Sports. 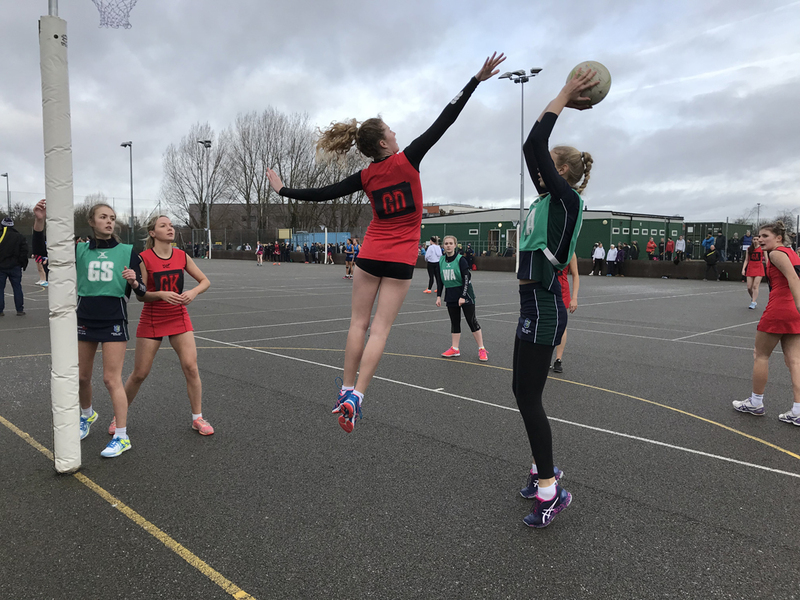 Against fourteen other much larger Secondary schools in the area the competition was going to be fierce but as always the Derby High girls were ready for the challenge. The day got off to a fantastic start with Megan O pacing the 1500m perfectly and sprinting to an emphatic win. Vidhmahi cruised through her 200m heat to book a place in the A final with Zoya gaining the fastest qualifier spot for the 100m B final. In the highest temperatures of the day Tabitha ran the 800m in a personal best time and Issi L, Megan O, Zoya and Vidhmahi passed the baton securely to clinch a third spot in the relay. In the field events Olivia W-R sent the shot putt soaring to six and a half metres but it was deemed to have landed outside the sector and unfortunately did not count. At the opposite end of the arena Hannah was extremely impressive in the High Jump and her Fosbury flop technique gave her a well deserved second place. Whilst in the long jump Maddy battled hard and stretched into the sand, but was pipped to the podium by forty centimetres. 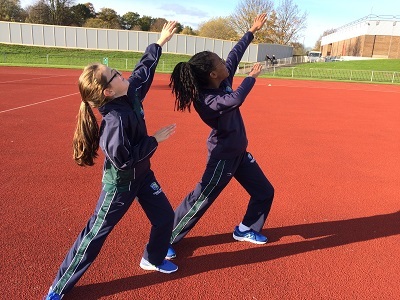 The fantastic reserves, and very much part of the team, Julia and Antonella, were ready to step into anyone’s shoes and were phenomenal with their support of the team, and everyone enjoyed Eleanor's javelin throws of over twelve metres which put her on the podium in second place. A fitting end to a successful day! Overall we await the final team results but Mrs Hancock and her assistants Poppy and Martha were very proud! 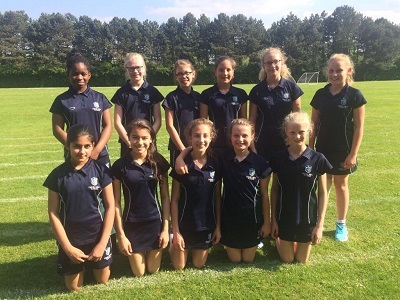 On Tuesday 19th June, the U12 rounders team travelled to their city tournament at Chellaston Academy. The team started the tournament with their group matches against Littleover, City of Derby Academy and Derby Moor. The first game against Littleover was a generally sound start, but some fielding mistakes did allow the opposition to sneak in some rounders and they eventually won the game 5 rounders to 3. Our next two games were positive, with the girls become increasingly confident with their batting and fielding. Against City of Derby Academy, the girls batted strongly and scored a confident 6.5 rounders. When fielding, the girls did particularly well with preventing the opposition scoring. Eden bowled effectively, in particular. In our final group game against Derby Moor, the girls played fearlessly. Their batting was strong, with a number of full rounders being scored and they took effective responsible risks with their running around bases. When fielding, the girls worked well together, communicating as a team effectively and their throwing and catching was accurate. As a result, they ended up as winners with a score of 8.5-3.5. As a result, the girls secured a semi final place which was fantastic. Our semi final was against West Park and the girls were eager to get started. Batting first, they girls worked hard to run around the bases but the opposition were strong with their fielding and limited Derby High from being able to score many. Olivia CW was successful, however, scoring the two half rounders of our innings. Onto the fielding innings, the girls were confident and continued to communicate well and make positive decisions. West Park had strong batters, however, and did well to score 4.5 rounders, and they were the team who progressed to the final. In our 3rd v 4th play off match, we met Littleover once again. Confidently, the girls batted first and gave their all, scoring 5 rounders which was a positive benchmark for Littleover to attempt to beat. Our fielding innings was possibly the best one of the tournament and the girls performed brilliantly. Notable performances came from captain Eleanor in second deep and second post play from Alex, preventing multiple half rounders from being scored. On the final ball of the game, Littleover scored a huge rounder and took the win with 5.5 rounders to 5. The girls were disappointed, particularly as they played so well, but were dignified and congratulated their opposition gracefully. Miss Allum was particularly proud of all the girls’ performances and the progress that they made over the afternoon in all their games was fantastic. They represented the school excellently, collaborating well and demonstrated a friendly yet competitive nature to their games. Well done to all. 12 talented L4 (Y8) rounders players travelled to Chellaston to compete in the Derby Area rounders tournament today. The fixtures were a little muddled due to late arrivals but Derby High took it in their stride and had convincing wins against Derby Moor, Littleover and Murray Park. Through to the semi finals Derby High met some tough opposition from Chellaston and it was an extremely close contest. Derby High made some great fielding decisions and caught and stumped players out. They then batted well but just failed to beat Chellaston by half a rounder. Derby High met Littleover in the play offs and even though Chantal hit the furthest rounder of the day, Derby High unfortunately lost by a small margin overall. The girls were very gracious in defeat and congratulated the eventual winners Chellaston when they collected their 4th place certificates. The team was; Darcy (Captain), Chantal, Becky, Ava, Alyssa, Charlotte, Saleha, PeaceofGod, Ella, Louise, Hettie and Lexi. 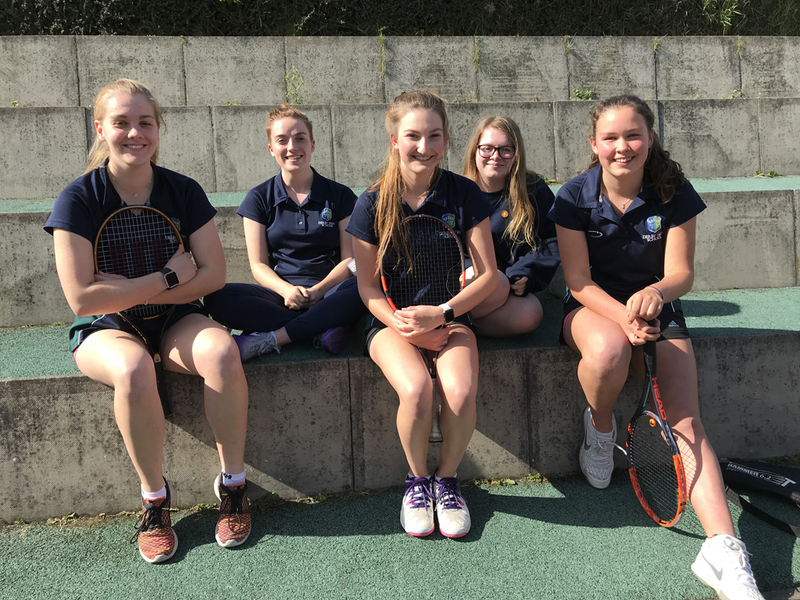 The Senior School Tennis Championship is the annual chance for Derby High's elite players to battle it out to win the prestigious Lawn Tennis Challenge Cup. The event was played as a one set round robin tournament so every point was crucial. The games had some excellent rallies and the spectators were enthralled by the speedy serving and range of shots on show. At the end of the competition the results were as follows; 3rd place - Chloe (U6), 2nd place - Kate (L6) ( recipient of the runner up award). 1st place - Charlotte (L6) (winner of the Challenge Cup). Well done to all the players. 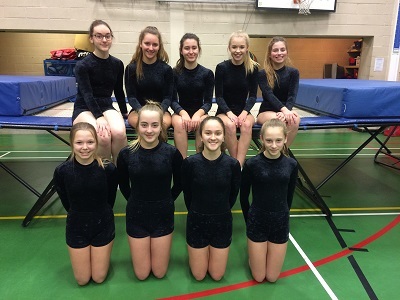 Flying high and somersaulting successfully are some of the many attributes that the Derby High U19 Trampolining team possess. 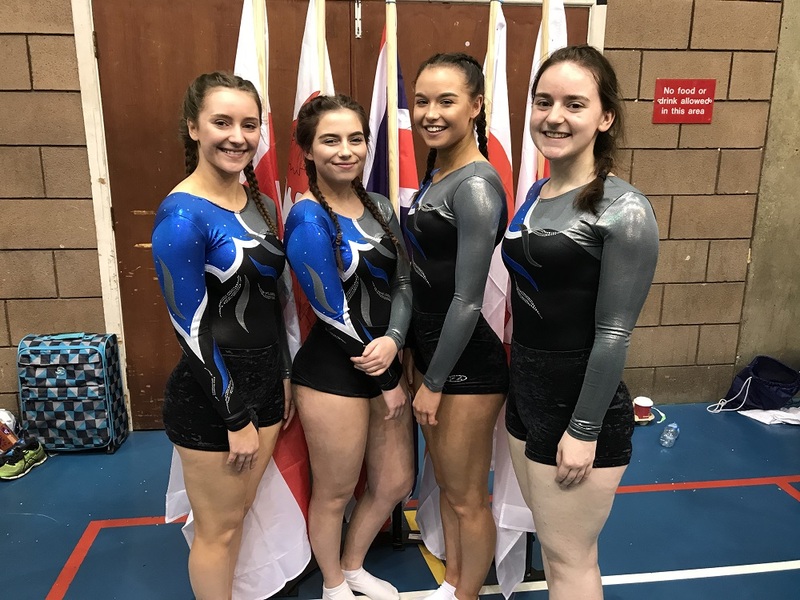 Competing in the British Schools Trampoline finals event in Belfast last weekend the four strong team had excelled in the qualifying rounds and were proud to be representing DHS on the biggest stage. Fittingly as this will be her last competition before she heads off to University in September, Ellie Holden was first to perform for the judges. Both her routines demonstrated brilliant technique and difficulty and she gained fantastic scores from the judges. Tilly Garside was next to compete. Her immaculate straight back somersault gave her a good tariff and the judges scores reflected her poise. Strong lines and neatness are the mainstay of Alicia Brockwell’s performance and her routines this weekend were no exception. The judges enjoyed both her performances and scored her well. The final performer and youngest member of the team, Sofia Richardson, pulled out all the stops and gave two fabulous routines that the judges scored highly. All the team could now do was wait for everyone else to complete their sequences. For at least an hour the Derby High girls were in bronze medal positions. However in the last ten minutes they were overtaken by two other teams and ended in 5th position - still a superb result! 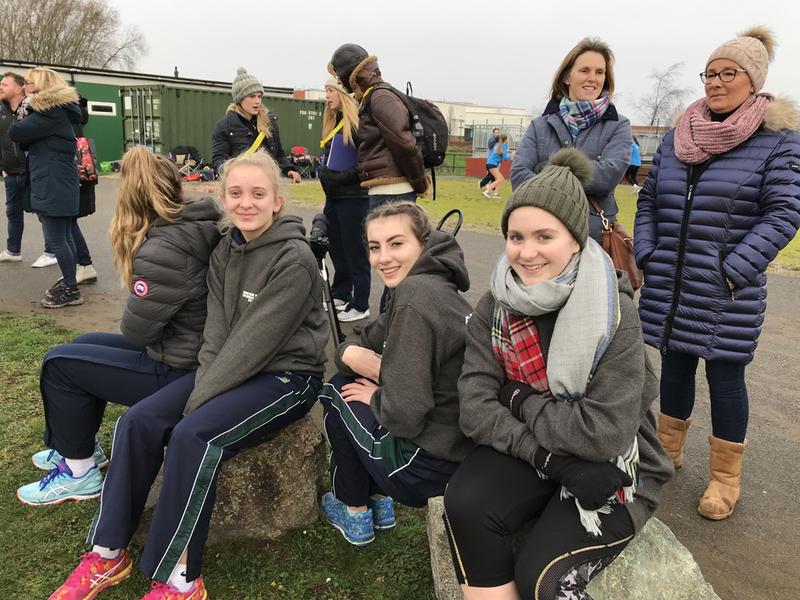 Mrs Hancock, the coach of the team, said that “the team have been an absolute joy to coach and their success is a testament to their incredible hard work, skill level and persistence”. Derby High were playing fabulous netball again at the Y9 and 10 City Festival. Once more DHS was the host school and the superb Y10 GCSE PE group were the umpires. Both teams passed and received the ball successfully and made some fantastic interceptions. As usual every squad member was a credit to the school. After many matches, including playing each other, the Y9 team were announced as the third place finishers and the Y10 team were runners up! A big well done to all the players and to Woodlands the eventual winners. Y10 Team members were Hope, Laurena, Charlotte, Felicity, Ella, Maddie, Grace, Maisie Grace and Eleanor. Y9 team members were Olivia, Josie, Mysha, Lucy, Ihina, Kate, Bernice and Joyce. The U13s took part in the City Netball Tournament at Littleover School. As there were 10 teams taking part, we were placed into a pool of 5 teams so had four pool games to play. Our first game was against West Park, which was quite a tight game. The girls showed their tenancity and determination to fight back from losing at half time, to winning 6-5. Derby High got into the groove after that game, playing some lovely netball, if a little rushed. Strong centre court play and shooting led us to confident wins over Laundau (3-1), Merrill (6-1) and da Vinci (6-1) secured us topping the pool and progressing to the semi finals. We met Chellaston in the semi final, which was a tough game. The girls had to work hard to mark and ensure their passing was accurate and powerful to maintain possession. Sadly, Chellaston were able to score a few more goals, and won the game 8-4. That meant that we went into the 3rd v 4th game against West Park, who we had met earlier in the afternoon. Continued strong play, intercepting and shooting meant this game was a close one, with goals coming from both sides quite consistently. The final whistle blew and it was a 7-7 draw! It was bitter cold and both teams were very happy to share the third place! The girls represented the school excellently at the City Tournament; gracious with their wins and losses, and working hard together as a team. They should be proud of their achievements. What an amazing achievement! 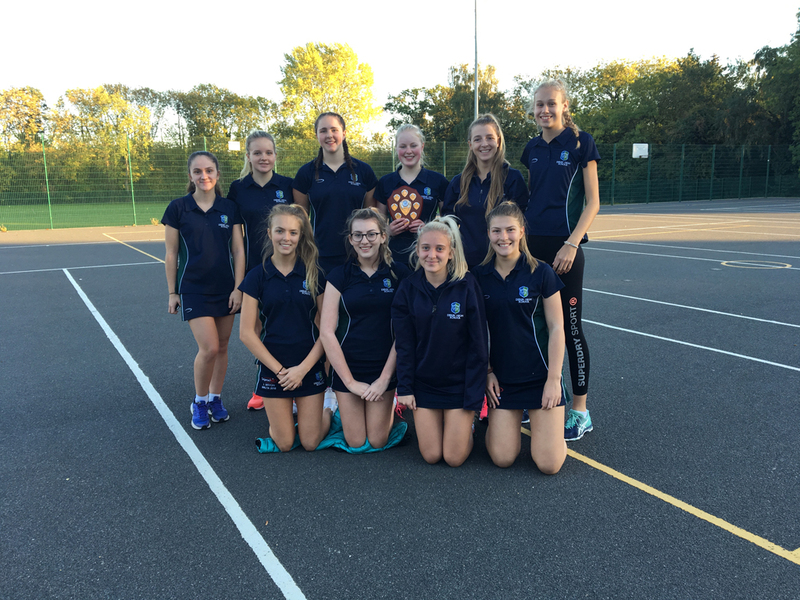 The U15 netball team played eight matches of almost continuous netball against the strongest teams in the County and came out on top!! The weather was not particularly kind and the court surface was tricky, but Derby High started in top form with a win over Littleover. 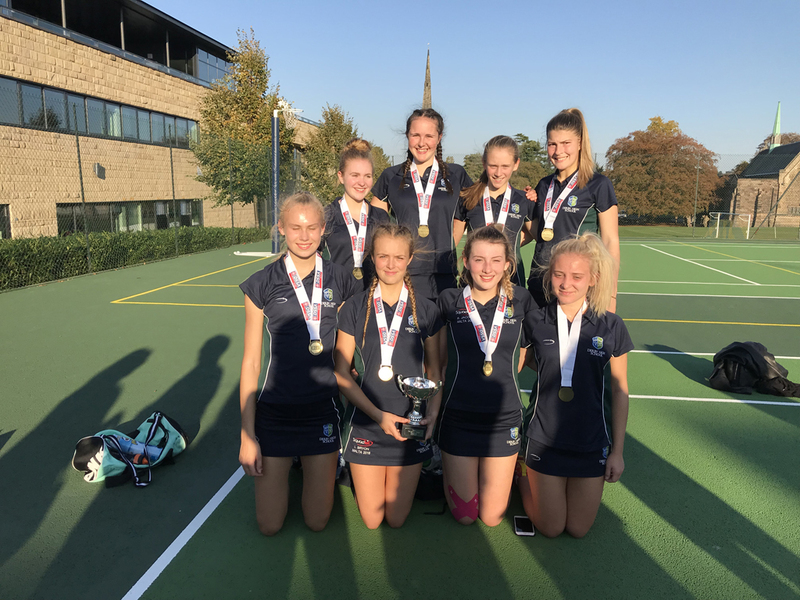 They then went on to win another six of their seven matches against local strong teams and previous winners such as Repton, Trent and QEGS, some by considerable margins! The final match was a nail biter as play went from end to end and was still nil-nil at half time! 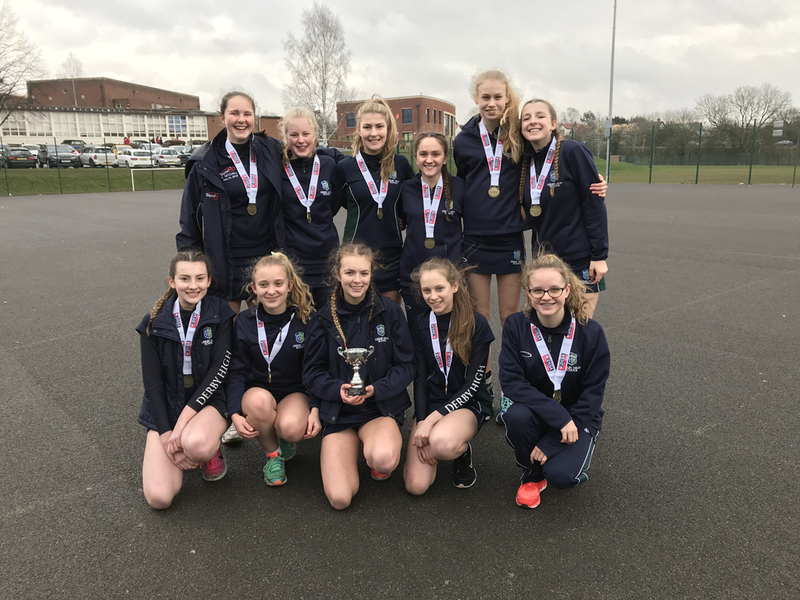 A final push and superb teamwork led to Derby High beating Lady Manners in the final minute by four goals to three and the realisation that they were now County Champions! The 11 players, all studying GCSE Physical Education, were a credit to the school and Mrs Hancock has thoroughly enjoyed coaching such a talented and cheerful group. 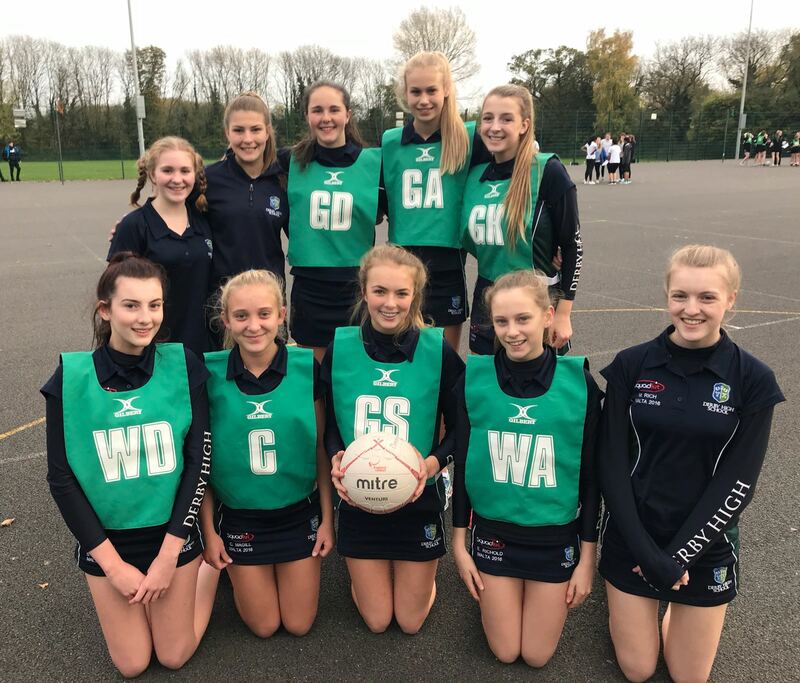 The team were led by the captain Issi Bryon and her superb team were Katie Mitchell, Poppy Baker, Eliza Richold, Sophie Jacobs, Liv Dale, Connie Magill, Lydia Scott, Hannah Munns, Caitlin Oram and Lucy Rantzen. A day to remember for sure!! Great netball was played in a lovely atmosphere as local schools came together for a friendly festival of netball. The tournament was strictly targeted at evolving players and our B team players were perfect candidates! 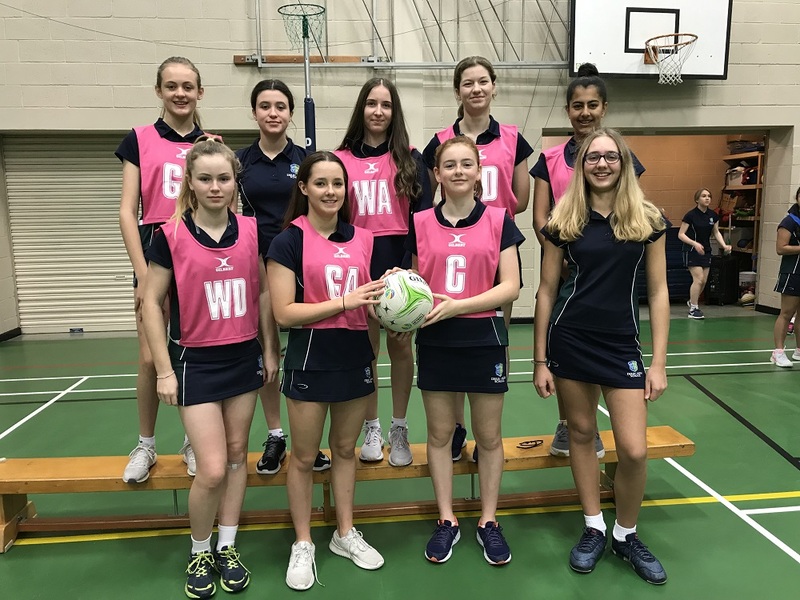 Both Year 7 and Year 8 squad members have been working hard at netball club and they were delighted to be selected for this competitive opportunity. 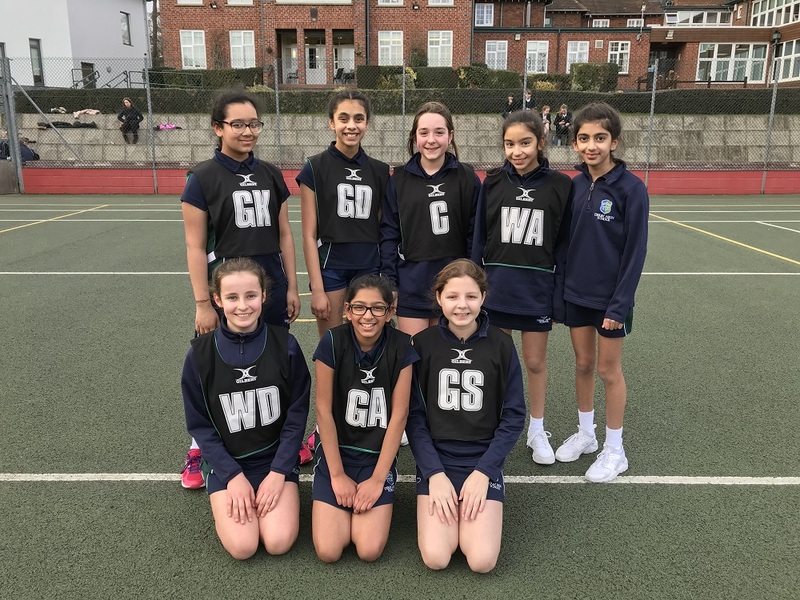 The Year 7 team consisting of Eleanor, Chandni, Vidhmahi, Elspeth, Mariam, Sowmya, Libby and Zoya had some tough encounters, particularly against the other schools Year 8 teams who were much taller than them. However as befits Derby High students, they persisted throughout every match and demonstrated some fantastic interceptions and passes. They completed their tournament debut in a creditable 5th place. The Year 8 squad consisting of ten players were extremely enthusiastic and had some magnificent wins as well as some close shave wins! They gave a great account of themselves and showed how excellent teamwork can produce worthy results. When the organiser read out the final standings it was revealed that the Year 8 team were the overall winners! Great joy for Derby High! Well done to Lexi, Peace, Alice, Aman, Darcy, Annabelle, Alexis, Lottie, Sophia and Louise! Precise passing and flawless footwork was the aim for our U12 netball team representing Derby High in the Derby City Netball Tournament. 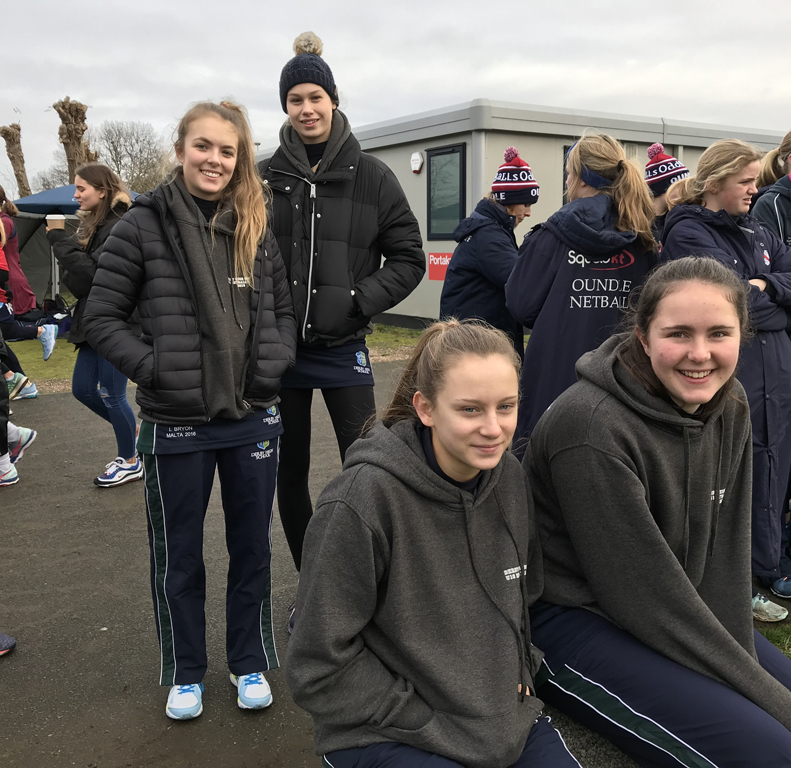 The nine members have been attending an extra early morning training session with Mrs Hancock and elite U15 netball coach Issi Bryon and were keen to put their developing skills to the test against some local opposition. Confronted with some extremely tall players from other teams the Derby High girls showed incredible persistence. 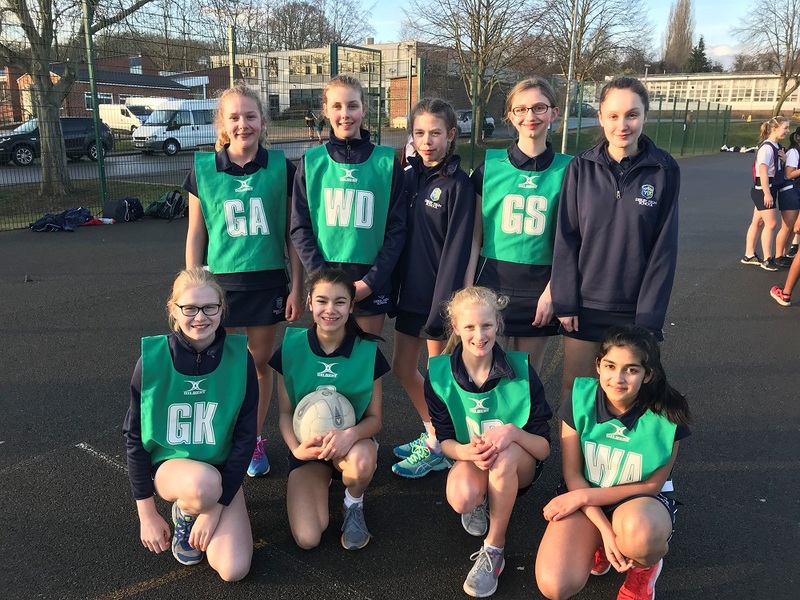 In defence Molly, Aminah and Olivia made some great interceptions and in the mid court Megan, Areej, Lucie and Eden turned defence into attack with ease. In the shooting circle Olivia and the captain Alex scored in every match. Overall the team had four close losses, one draw and two wins which was a great accomplishment. Well done to them and to Issi for coaching and umpiring the squad. 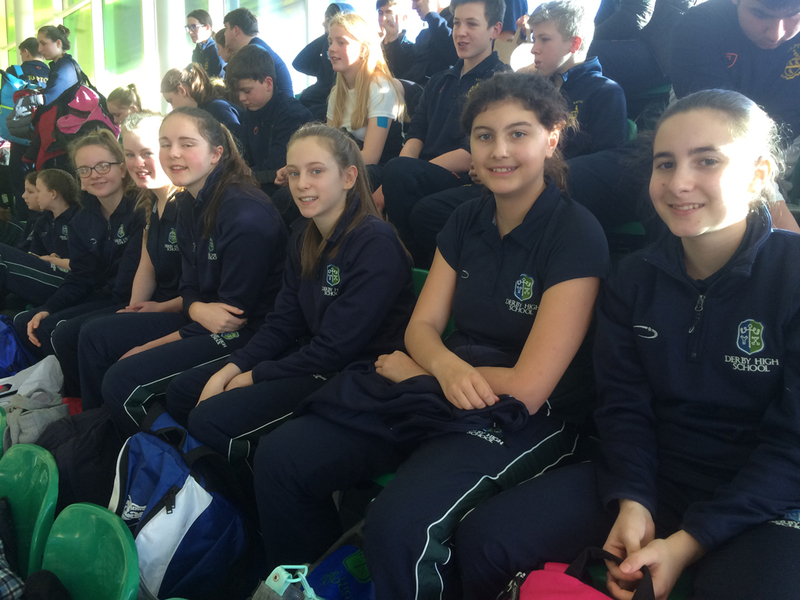 16 of Derby High's elite swimmers travelled to Worcester to compete in the Bromsgrove Invitational Swimming relays on Friday 26th January. 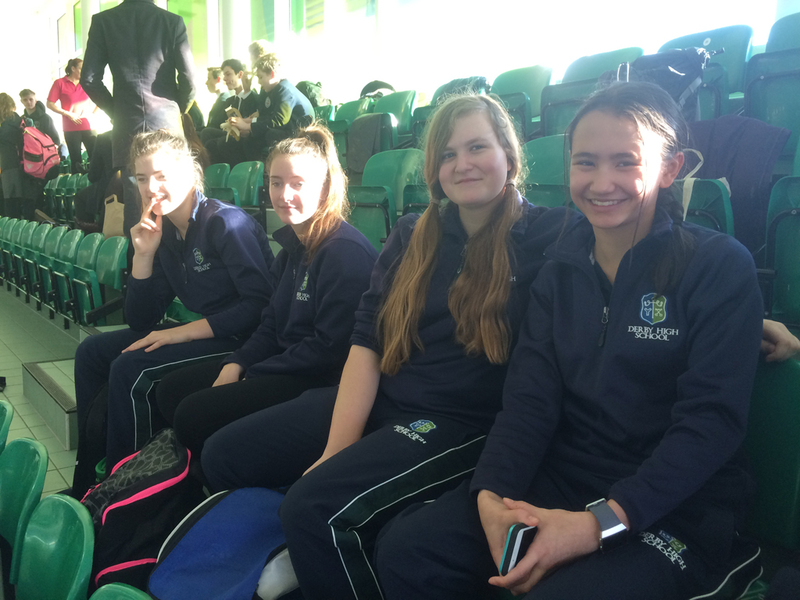 Some very large and renowned schools for swimming, such as Bedford, Marlborough College, King Edwards, Camp Hill, Repton and Kings Worcester, were some of our opposition but Derby High were ready for the challenge! Each team had to compete in a medley relay and a freestyle relay and DHS had an U15A team, B team and C team as well as an U18 team! The U15s were first to compete in the medley relay. 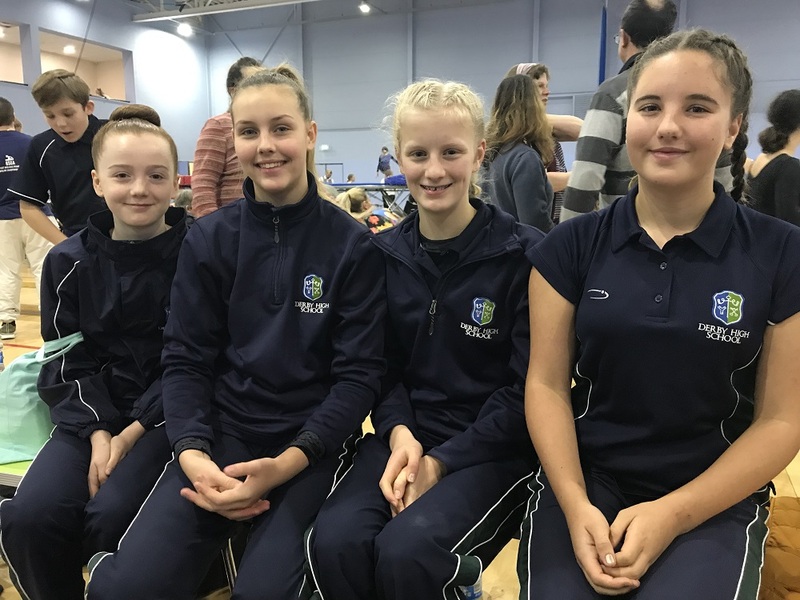 The C squad of Katie Mitchell, Libby Norton, Antonella Paonessa and Hannah Munns swam with great gusto and were disappointed to just miss out on beating Shipston in their heat. Derby High B squad of Alice Proudler, Megan Oram, Julia Morton and Alexia West did a great job in their chosen strokes. Finishing 4th in their heat they missed getting in to the B final by a whisker but were pleased with their performances. The U15A team consisting of Caitlin Oram, Libby Bateman – Arkinstall, Aimee Boucherat and Lucy Flint swam brilliantly to take the 2nd spot in their heat and a place in the A final! The final was extremely exciting – Caitlin took the lead on the backstroke leg and Libby extended this on the breaststroke. Aimee fought hard on the butterfly and just kept DHS in front and Lucy held her nerve, and her fast pace under pressure from the next lane, to make Derby High the winners!!! Wow!!! In the freestyle relay events the A team also picked up bronze medals and the B and C teams were unlucky not to make the finals. The U18 team of Abbie Hymas, Alicia Brockwell, Eliza Richold and Lucy Rantzen were fantastic role models and gave their all against really tough opposition. They made the B finals in both the medley and freestyle relays and gained B final silver medals in both of them. Brilliant! Overall these were incredible achievements from all of the girls. Thank you to Mrs Hancock for selecting the teams and to her and Mrs Peake for taking them to the gala. Two talented Derby High endurance athletes took part in the Derby City Cross Country Championships and performed superbly! The competition was very strong but Upper 3's Tabitha negotiated the mud and hills to place a creditable 14th – a fantastic result in her first championship. Lower 4's Annabelle ran in the Year 8 competition. She was determined from the start and by the second lap of the very tough course she was overtaking other tired athletes very quickly. Her sprint finish enabled her to clinch a superb 4th place – well done Annabelle! A squad of ten enthusiastic U4 netball players travelled to Littleover for the Under 14 City Netball Tournament. They played extremely well to beat everyone in their section ( CODA, Landau, Noel Baker and Woodlands) showing persistence and agility. They then played Chellaston in the semi final and after a tense battle drew 3 all. Due to a better goal difference the Derby High girls were awarded the win and so they progressed to the final against a strong West Park team. Summoning the last bits of energy Derby High gave their all. Unfortunately they narrowly lost by 5 goals to 7 but they were a credit to the PE Department and the school. Lucy was awarded players player of the tournament for her defending tenacity but all the squad members excelled. Well done to Libby, Harriet, Amba, Ellie, Isobel, Lauren, Kate, Mysha, Olivia and Lucy. Smiles all round with us winning the Derby City Netball Tournament! I can’t remember all the scores however we won by a good amount each time! Everyone was really happy and we had great team spirit through all of the games, despite it getting rather dark and cold towards the end! The team worked really well with excellent interceptions and tight marking by all members of defence and center court players worked their socks of to bring the ball down court and pass to Poppy and I who worked well together inside the circle, taking many responsible risks with how far away we were from the post with the majority of time it paying off! Everyone gave 100% effort and always had a smile on their face. It was a very good day out with an even better result. Thanks to Mrs Hancock and Miss Allum for giving me the opportunity to be captain and the whole team for playing well. We really co-operated well and are grateful to the staff for giving up their time to take us. At the Derby City tournament the U12 team played three group games, losing one and winning two, progressing to the semi final where they beat Chellaston meaning they went through to face West Park in the final. The girls showed great determination during the final which they narrowly lost 6.5 to 5 rounders. Well done! 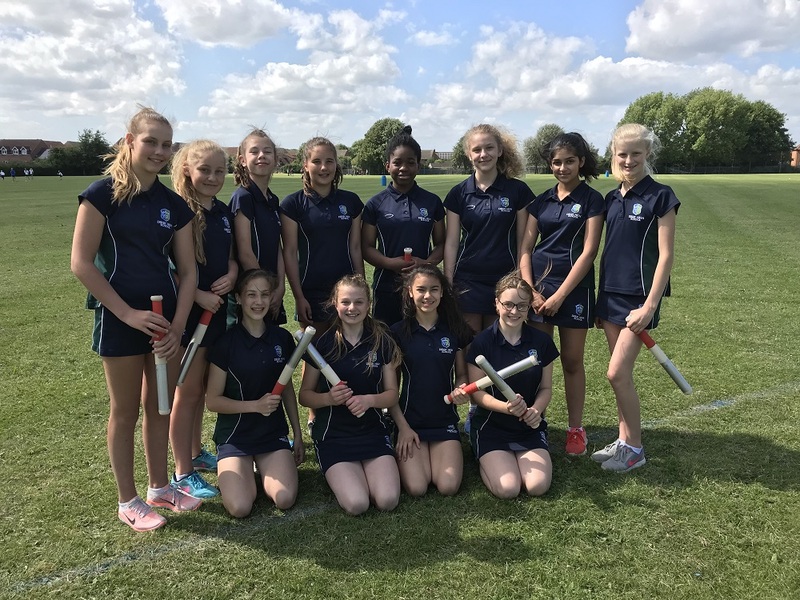 “We are really looking forward to it!” said the captain of the U13 rounders team – Lucy Malpas as they headed off to Chellaston with Mrs Hancock for the U13 City Rounders Tournament. The squad members Lucy, Libby Bateman – Arkinstall, Kate Robertson, Lauren Kitsi, Mysha Iltaf, Tilda Hedley, Zainab Awaiz, Aimee Boucherat, Lydia Kammerer ,Olivia Hearing and Freya Hannaford (who unfortunately had to spectate due to injury) had all been working hard at the lunchtime club to hone their skills and were keen to compete against local rivals. The first game against West Park was a close affair but big hits from Lucy and Tilda as well as fantastic bowling from Lydia meant that Derby High won by 5 games to 4. The next match against Noel Baker really saw the squad excelling. Lauren was fabulous in the deep field, able assisted by Mysha, and Libby was stumping players out on second post with ease! When it was Derby Highs time to bat, Aimee hit the ball over the opponents head and Lydia placed the ball between the posts. Olivia scored a rounder on her second go and Lucy had the opponents scampering towards the other pitch to field her hit! The result was a win to Derby High by 9 and a half to 3. The nature of the competition meant that Derby High then had to play the winners of the other groups to finish first, second or third. Against Leesbrook Zainab and Kate were on fine form with their fielding and batting and Libby sprinted to success. The result was a win by 4 and a half to 2 and a half. The final match against Chellaston was very tense and the bowling was tricky to handle. However Derby High still hit well and scored 4 and a half. Unfortunately Chellaston were on fire and also took advantage of any miss fielding and finished with a score of 6 and a half to claim the title. Well done to the U13 team though, runners up in the Derby Area Rounders Tournament is a fantastic achievement!! The U14's took part in the City Rounders tournament! They won all their group games against Littleover, St Benedicts, Da Vinci and Murray Park. They faced Leesbrook in the semi final and won 7.5 to 3.5 meaning they were through to the final against West Park. In the final, Derby High fielded first meaning they had a total to chase, unfortunately they just ran out of time and lost 6-5. 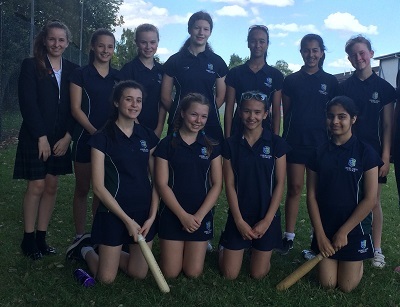 On Thursday 18th May, the U15s travelled to Chellaston to play in the City Rounders Tournament. There were only four other schools competing, so this tournament was played in a round robin format, with innings only lasting 6 minutes so it was important for the girls to score well. Our first game was against Chellaston, who we had beaten a couple of weeks ago, and the girls did very well. Fielding first, Derby High demonstrated some excellent fielding skills, stumping a number of their team out. We were successful batting, particularly with Ruby scoring a nice rounder and ended up as winners, 4 rounders to 2 ½. Our second game was against West Park and the girls performed confidently and were certainly warmed up with their batting. Again, some confident fielding from all of the girls did intimidate the opposition. Some deep catches and good stumping out of players secured only a low score of 5 ½ by West Park. 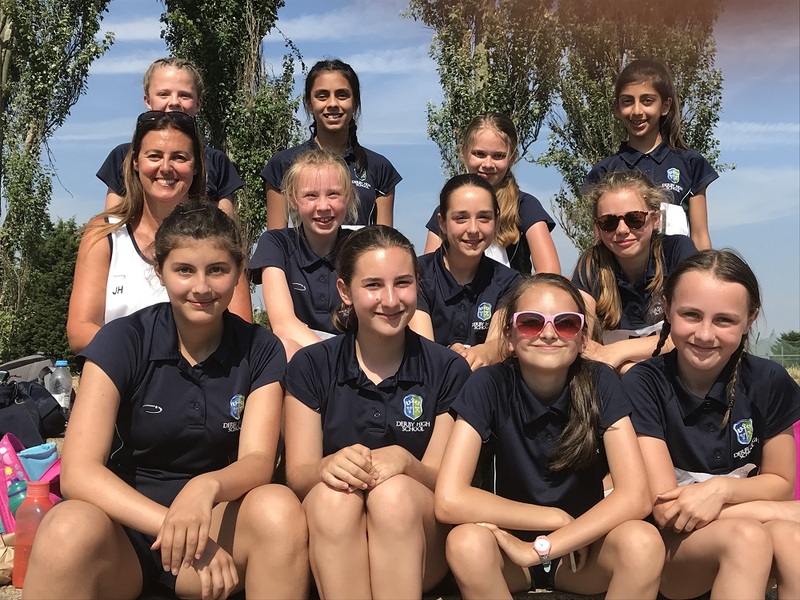 Batting became second nature in this game, with our girls hitting some excellent balls – half- and full rounders galore from Amy Butler, Charlotte Rise and Ruby Kumar. Responsible risks were taken, and paid off, ensuring a win of 11 ½ to 5 ½.
Murray Park were our third opponents, and our fielding was superb – preventing them from scoring anything more than one rounder. Excellent combinations were evident in this game, particularly with Amy Butler as backstop and Abi Hymas, who successfully stumped five players out at first. All of the girls added to the score sheet when we batted, particularly seeing some great batting from Emma Robertson, Nyah Bowen and Lizzie Hurdley. It was a win for Derby High, 7 ½ to 1. Our final game was against Littleover, who were tough opposition, in a game which we all assumed was the deciding match. Littleover fielded first, but our batting absolutely peaked in this games – every girl added to the team sheet, with some absolutely fantastic hits producing rounders very easily. Abi Hymas and Cerys Lewis particularly were on fire! The girls scored 5 1/2 rounders, and then it was our turn to field. Littleover batted well, and produced some nice hits. After stumping a couple of girls out, all of a sudden there was a flurry of catches! Orla Macfarlane, Cerys Lewis and Sarah Briggs caught four girls out in four balls; it was fantastic to watch! With only a couple of girls left, Derby High kept their cool and got the side out – they had only scored 2 rounders…. We were the champions!!! The girls were absolutely fantastic, represented Derby High with excellent sportsmanlike play, tremendous batting and fielding and a positive attitude! U15 Derby City Champions for 2017. The pace of the game was fast and furious and the passing was superb as the Derby High U19 team took on rivals Woodlands. As always the Woodlands players were tall and talented but the girls from Derby High read their game plan terrifically and made some outstanding decisions to keep ahead of their opposition. Nine goals to five after the first quarter, Derby High demonstrated great fitness and tenacity to stay ahead by fifteen goals to eleven at half time. Captain Evie Miller focused the team on their strengths and was very influential in the centre third. Issey Yee covered the court brilliantly with some fabulous passing from Chloe Smith and Ariah Khinda. In defence Mirela Novakovic and Beth Kemp did a great job to prevent the goal shooter from receiving the ball and Mohan Kaur made some breath-taking interceptions to deny the very tall Woodlands goal attack. 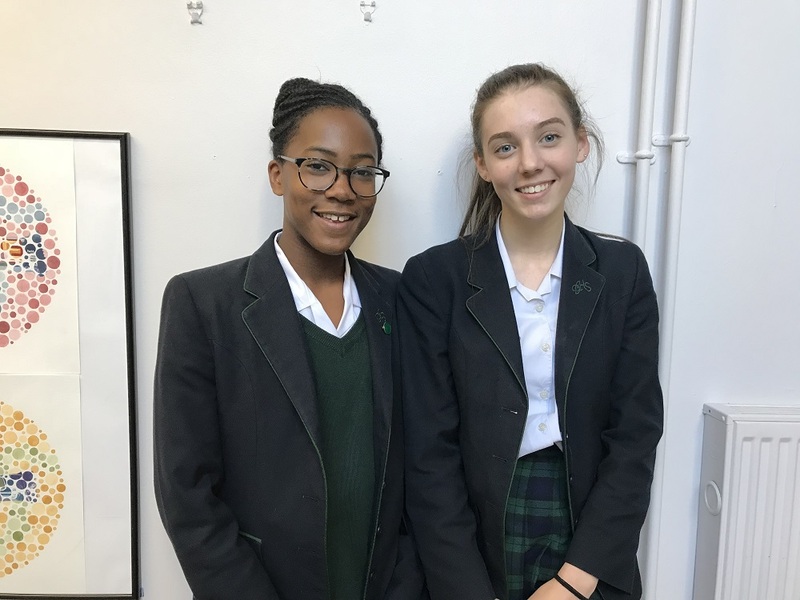 Becky Moon and Alex Rowley worked tirelessly in the shooting circle against some very assertive defenders and achieved a final score result for Derby High by 30 goals to 20. 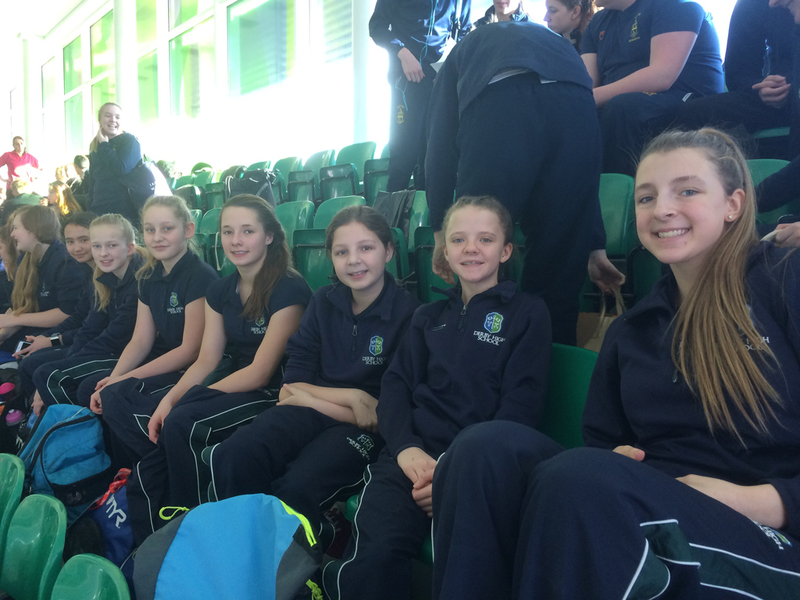 Mrs Hancock and Miss Allum took nine talented sportswomen to the prestigious Regional Trampolining Competition at Loughborough on Sunday. The girls have been training extremely hard to execute two complex routines with good height and form and were nervous yet excited to compete. Lydia Kammerer was the first to perform and the youngest member of the team. She completed both her routines to a good standard earning marks of 6.7 and above and came 86 out of 136 entrants. Ella Blurton was next to compete and has made fantastic progress with her routines. She finished in 100th place from the 136 entrants. Lydia Scott performed two routines with poise and grace and earned marks all above 7.4 to give her a final position of 46 out of 136. Finally in the U14 age group was Eliza Richold who kept her nerve and bounced well to achieve marks of over 7.0 resulting in a position of 69th out of 136. The team as a whole secured a 16th place out of 25 teams - a great achievement. The Under 19 team had to wait until the afternoon before their competition started but were very keen to demonstrate their skills. Sofia Richardson was the first to compete and performed 2 stylish and neat routines to impress the judges. Tilly Garside also impressed with her somersaults and jumps and the team grew in confidence. Alicia Brockwell had a minor mistake on her set routine but stormed back with a very good voluntary routine and Ellie Holden the captain of the team capped off the Derby High endeavours with two fantastic routines with the highest permitted difficulty score. With 3 best scores counting towards the total the Derby High team knew that they had given their best but it was an anxious wait for the other teams to finish. The top 2 teams would go through to the Zonal round on the 5th February which is one step away from the Nationals and the U19s were absolutely delighted to find out that it would be them!! A superb achievement! Mrs Hancock thanked all the girls for their achievements and persistence in training including Megan Austin who was the U19 team reserve. She was also grateful to Lindy Pople for helping to coach the girls to such a high standard. The U12B team played a friendly match versus Woodlands and were extremely keen to develop their skills throughout the game. Captain Ella Scully motivated her team well and the game was really close, quickly moving from defence to attack and vice versa. At the close the Derby High team were unlucky to lose by just one goal with a final score of 2-3. 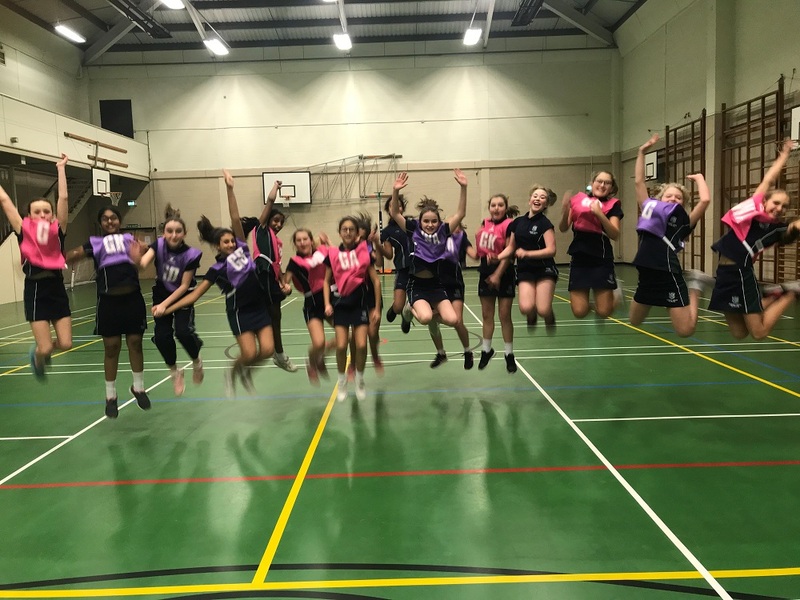 Well done to all the team members – Lois Oliver, Megan Strange, Gia Malhi, Sarita Badwal, Evie K, Alexia West, Eshaal Sannan, Ella Scully, Alexis Fradley, Lottie Muckleroy, Sophia Werezak and Charlotte Spincer. 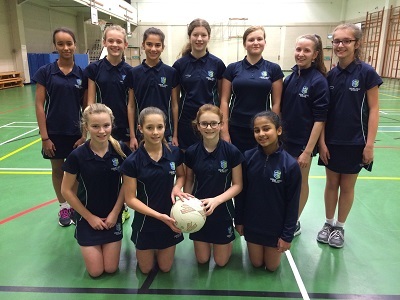 The U13s were on fine form as they played netball against strong local rivals Woodlands. The squad of 10 all worked extremely well as a team to change attack in to defence and make the most of their scoring opportunities. Lucy Malpas and Harriet Eden were awarded player of the match for thwarting many scoring opportunities by Woodlands and the score was a win to Derby High by 8 goals to 2. 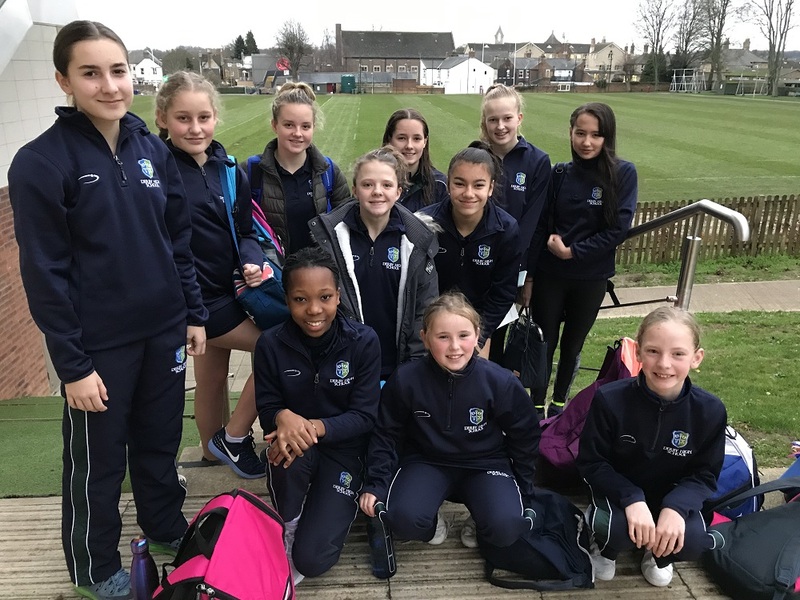 The team were Amba Macara, Alice Proudler, Lauren Kitsi, Harriet Eden, Kate Robertson, Libby Bateman-Arkinstall, Ellie Penter, Lucy Malpas, Gopika Rao, Bianca Paunescu and captain Freya Hannaford. The Derby High 1st XI journeyed to local rivals Repton School for an exciting, end to end match. The DHS team played some good hockey, defending well and creating chances in attack. A very even game, well contested by both sides saw the scores level 0-0 at the end.